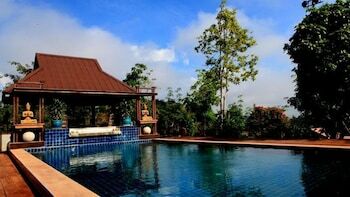 When you stay at Rai Kaset Phu Praewa in Mae Chan, you'll be 8 minutes by car from Wat Archan Thong Cave. Featured amenities include luggage storage and a safe deposit box at the front desk. A roundtrip airport shuttle is provided for a surcharge (available on request), and free self parking is available onsite. Located in Hua Hin (Khao Takiab), My Resort By Favstay is within a 10-minute drive of Hua Hin Market Village and Wat Khao Takiab. When you stay at this apartment in Krabi, you'll be near the beach and 5 minutes by foot from Khlong Muang Beach. Featured amenities include express check-in and express check-out. When you stay at Little Nordic Cha Am Apartment in Cha-am, you'll be near the beach and steps from Cha-am Beach. Free self parking is available onsite.